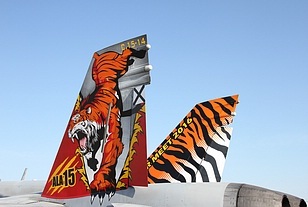 The NATO Tiger Meet (NTM) was held this year at Base Aérea de Zaragoza, Spain, home of the Spanish Air Force’s 15th Wing (Ejército del Aire - Ala 15) which has been a full NATO Tiger Association (NTA) unit since 2008. NTM 2016 started on May 16. 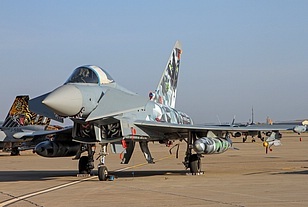 The two-week exercise saw about a hundred aircraft, from fighters to helicopters and AEW&C aircraft, completing just under 1000 flight sorties. 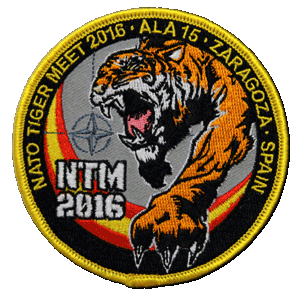 This edition of NTM16 was the largest gathering in the history of NATO Tiger Association. 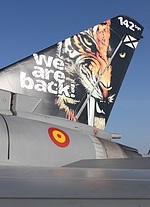 NTM 2016 saw the first full participation by the newest NTA member, the German Air Force TaktLwG 74, while Spain's other Tiger unit, 142 Esc from Ala 14 at Albacete returned to take part again now the unit has transitioned to the Eurofighter Typhoon. 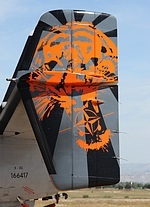 In recent years 11F of the French Navy re-equipped with the Rafale M of course. And, even the Hellenic Air Force 335 Mira participated this year with its F-16C/D Block 52+ Advanced (or Block 52M) Fighting Falcon, which are among the youngest F-16s in Europe. Altogether this meant NTM16 brought together a lot of modern fighters. It will be difficult to repeat the massive presence of aircraft and crew of this year, because in the coming year the NTM will take place on other airbases with much smaller ramps than the enormous Spanish base at Zaragoza with its two runways and huge aprons. I can assure you that it also meant really long walks for us visitors, which brings us to the public events. 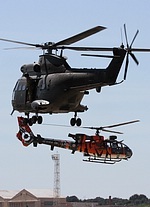 After week one of the exercise two public events were held, the spotters day on Friday and an airshow on Saturday. More than 1500 enthusiasts from around the world attended the spotters day on Friday. Besides the many Europeans that attended the event, this Tiger Meet also attracted visitors from Canada, China, Russia to name a few. We were able to observe and photograph the two waves planned for the day, including takeoffs, landings and taxiways, as well as on the southern ramp where all the aircraft of the various tiger units were parked. 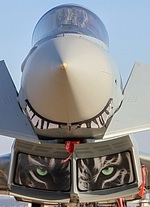 The airshow on Saturday had an attendance of about 40,000 people and consisted of the Spanish Air Force’s display teams, Typhoon and Hornet solo demonstrations, the Belgian Air Force F-16 Demo and a display by a pair of French Navy Rafale Ms from 11 Flottille. 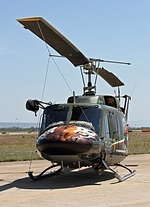 Best Looking Tiger Aircraft: 221 LtBvr, Czech Air Force, with their Mi-35 "Alien Tiger"
Next year's edition of the NTM will be held at the air base of Landivisiau, home of the 11 Flottille of the French navy.